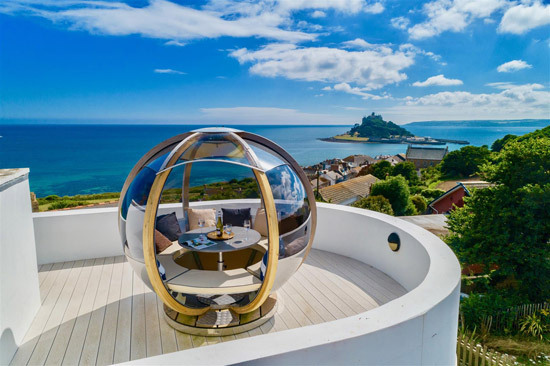 If you want views with your architecture, I have just the thing. 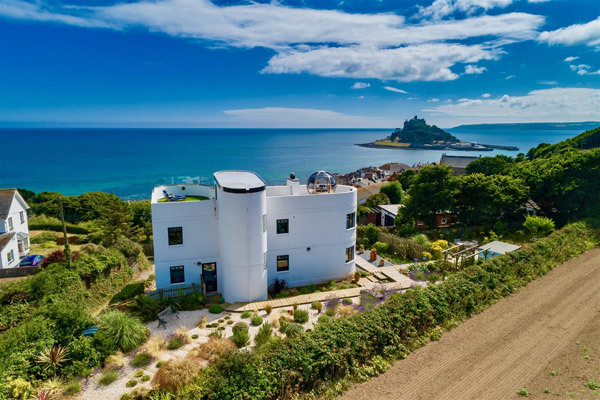 This coastal art deco-style property in Marazion, Cornwall. You may have noticed the lack of any reference to the era above. That’s for good reason. 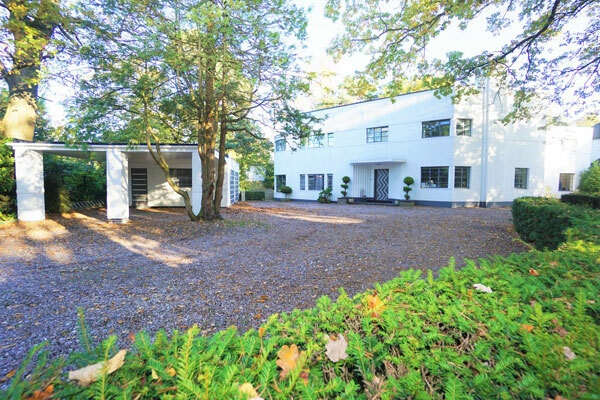 This is an art deco-style house, but it is also a fairly new house too. 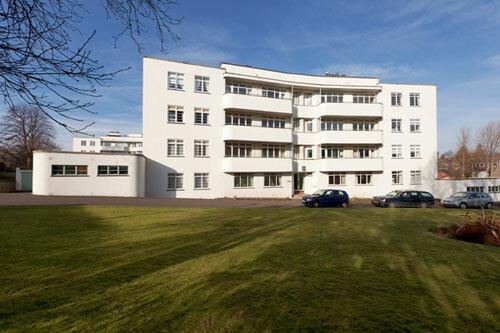 Yes, the look of the art deco movement, but very much a new build. 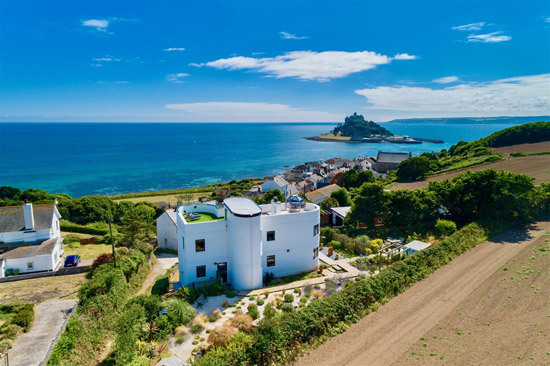 The house was designed by award winning architect Barry Briscoe, creating a house that sits high above the coastline to offer panoramic views over Mounts Bay and St Michaels Mount. 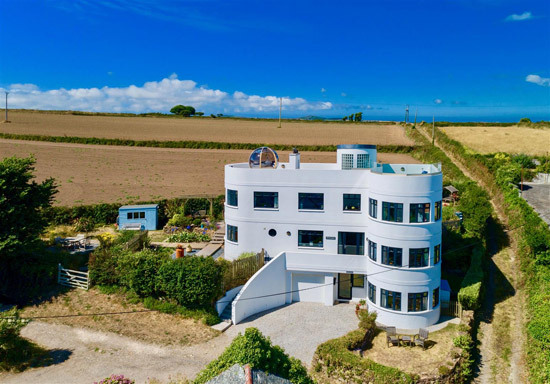 In return, the house itself adds to the landscape with its stylish, curved design in white that really is hard to miss from miles around. I really do like the architecture here too. I don’t think it’s trying to pass for original art deco. There are too many modern touches for that. 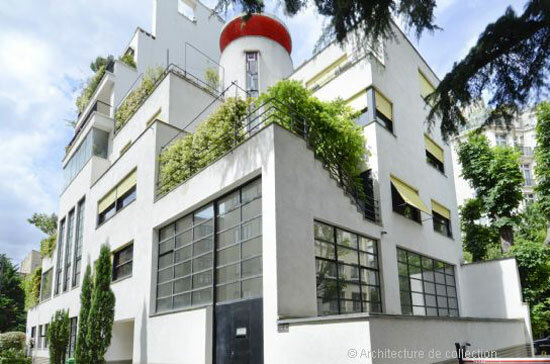 But it definitely pays tribute to the era, from the shape and the curves through to the roof terrace. It shows that this kind of building can be created in the 21st century if someone wants to go out and commission it. What I can’t get a feel for from the photos is the interior. There are some images of it, but they are very much secondary to the shots of the outside. I get that the architecture itself is the main selling point, but the inside is just as important. That’s where you will be spending most of your time. 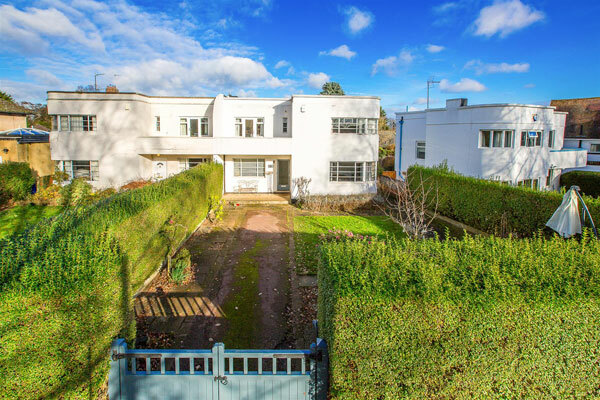 Of course, if you are a serious buyer, you can always go and have a viewing of the house. But from what I can see, the interior is fairly neutral and not as stylised as you would expect from a house of this nature. 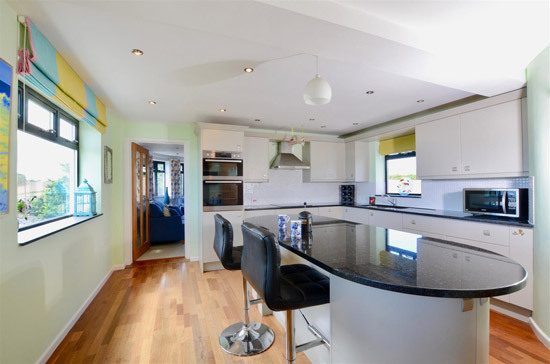 Neutral is no bad thing, as it does give a future buyer the opportunity to make their own mark. I’m just surprised the inside is as traditional as it is. As for space, well there is plenty of that. 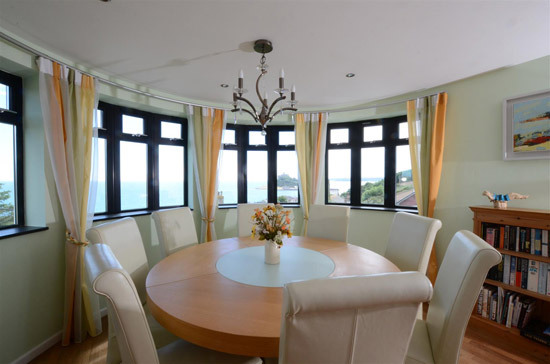 This is a five-bedroom property, with the bedrooms set out on the ground floor and the living areas on the first floor. 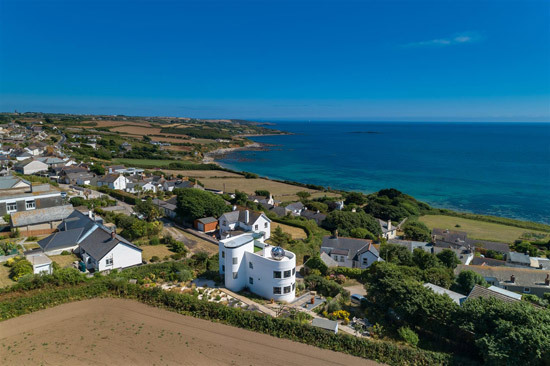 According to the agent, the ‘l-shape design’ creates a social layout, with the reception rooms at opposite ends and the kitchen at its heart. 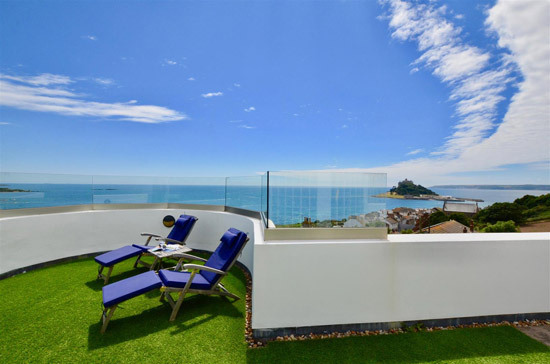 As a bonus, you also get the vast roof terrace and those wonderful views, with the terrace accessed via an internal staircase. 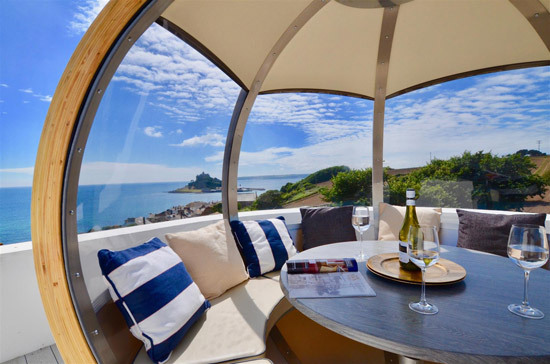 There is also a ‘pod’ up there for dining or sheltering, depending on the weather. Either way, views come as standard. 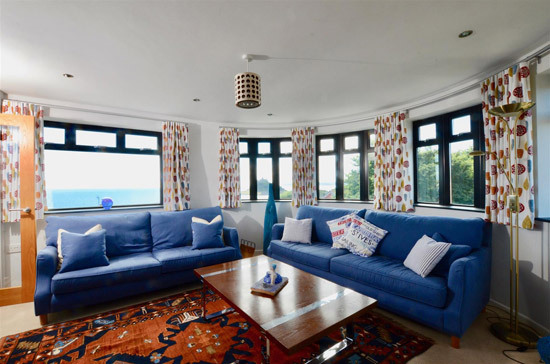 The lower ground floor is set out as a self contained annexe, making it ideal for guests or as an income opportunity from holiday letting. 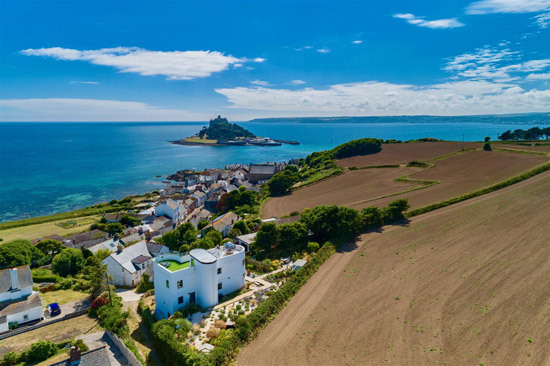 However it does interlink with the main house and so it can also be used as additional accommodation, if required. As for the outside space, gardens are located mainly to the rear and side of the property. There is parking at the front and an integral garage too. 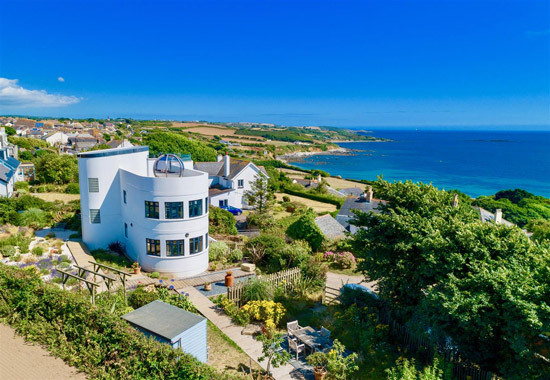 £1,100,000 is the guide price if this place by the sea appeals. Images and details courtesy of Rohrs and Rowe. For more details and to make an enquiry, please visit the website.